There are plenty of ways to coach and teach the clean and for a variety of different reasons. What I mean is that you have the hang clean, power clean, olympic clean, etc as well as different grip options, lead up options, and accessory exercises. That’s a lot to consider when planning how to develop power in a particular individual. Here I’ll try and talk my way through the thought process I use. For the most part, my primary demographic has been high school and college athletes. I have worked with some professional athletes as well as general population, however, the primary is high school/college athlete. With this population, I am trying to increase expression of certain qualities as well as increase performance on tests. When it comes to how the coaching staff views a particular player coming in to preseason, the tests they’re going to perform is the window they use. If you can wow the coaches with performance on these tests, there is a good chance that the athlete you’ve been working with will see the field. It must be stated (I can’t believe that it does) that if the player is hurt because of bad coaching/programming/etc then it doesn’t matter. That athlete would be a moron to return to your facility. The tests that I have to improve my athletes performance on is usually some sort of sprint test as well as some sort of jumping test as it applies to the use of an olympic clean. Of course the athlete will improve with performing the exact test, but that’s not good enough. Of course the athlete will improve the test as you improve sprinting technique and jumping technique, but that too is still not good enough. This is where knowing a thing or two about exercise physiology/exercise science comes in handy. This is the why of using olympic lifts or loaded jumps, and as it pertains to this particular article, the hang clean specifically. Why a hang clean vs. a traditional olympic clean or power clean? A power clean or traditional olympic clean both start from the floor and can be too technical for the novice. My job isn’t to create olympic lifters, it is to create an expression of power with athletes. If I want an athlete to pull from the floor, I’ll simply add a version of deadlifts into their program. Also, I like to measure power because I’m a nerd, and like physics. If my start position and my end position are the same for my hips, what is the total displacement? Makes it a little easier to measure. 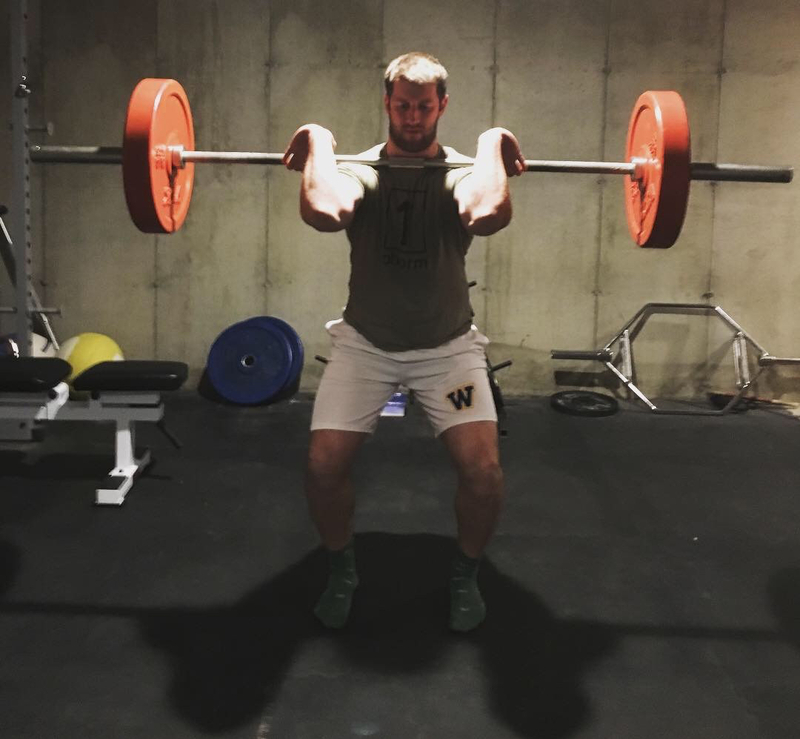 The traditional Olympic Clean requires an individual to lift as much weight as they can from the floor to their shoulders in an effort to get them ready to Jerk the bar overhead. The bar really doesn’t move all that far as you’re trying to minimize the distance that the bar has to travel, making it a little less challenging. Also, you have to have amazing hip mobility to do well with this activity. As has been stated before by many a famous pop artist, “hips don’t lie”. The power clean is a crazy spawn between the Olympic clean and the hang clean. You take the bar from the floor to the rack position as fast as you can. Typically, this turns into back injuries and disgusting mechanics. Depending on the sport, there are a couple of ways to load the clean as well. Traditionally for all sorts of lifting, we meat heads like to load the bar with as much weight as we can perform while still using good form. In certain cases this isn’t warranted. For non-contact athletes–think soccer, baseball, basketball, tennis, golf, etc–we don’t need to use a huge weight to elicit a response. Instead, we are able to use as little 40 per cent of what they’re able to use to still get adaptation. This will virtually be a total expression of power here where these athletes are cued to move the bar as fast as they can. For contact sports, like hockey and football, we need to add a little weight. They will still get the expression of power that the other athletes are getting, but they will also get weight acceptance which is huge. Think about a 200 pound man hitting you into a wall at 25 miles per hour. That’s the sort of weight acceptance that needs to be encouraged. You can get a little fancy and do a heavy hang clean day and a light hang clean day as well. Personally, I like to have my lighter hang cleans, and my compound clean varieties be in the offseason where I am trying to improve the wear and tear from the previous season as well as movement composition. Then I’ll get heavier as the season comes into view. 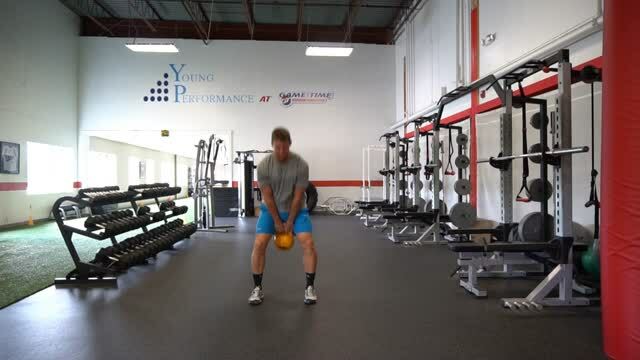 Hang cleans promote triple extension–ankle, knee, hip–as well as fast movement. So does sprinting, and so does jumping. Get really good at the hang clean for your athletes and you’ll be giving them that extra edge that they need to improve over the rest of the field. It’s that time of year again. Everyone is planning on doing the right thing and the gyms are starting to pick up. Almost everyone you speak to is on the “keto diet” as of the first of the new year. So many great intentions, so little sustainability. Here’s a quick reference guide for the new year. The word diet is more a statement of what you consistently consume as opposed to the 8 week fix that you’re about to embark on. Instead of jumping on the bandwagon of the newest fad diet that will inevitably fail, choose the healthy option. What exactly is the healthy option? The technical answer is that it depends on a host of information that is impossible to answer in one generic blog post. But, it is possible to give a generic outline that you can plug and play with. The following is a simple cheat sheet that you can use that is a heck more sustainable that getting extreme. To maintain your current bodyweight/body fat consume roughly 1 palm size portion of lean protein, 1 fist portion of veggies, 1 handful of starchy carbs, and 1 thumb of healthy fats/oils. To drop bodyweight/body fat simply cut out some of the starches. Double what the ladies consume. For a more detailed list of healthy foods and complete food composition, check out Precision Nutrition’s website. Whatever you do, get appropriate amounts of sleep. This isn’t always possible if you have newborns or crappy neighbors, but ultimately you should be able to your sleep pretty regularly. I’ve made mention of this in the past with an entire article, but the jist of the information is that in order to progress you need your sleep. There are a number of sleep aids out there. Melatonin seems to be the simplest choice, but now CBD is jumping into the mix. If you’ve read my material before and you’re still looking at your phone in bed before trying to sleep, why? Blue light emission from your phone/tv/tablet/computer can inhibit melatonin production in your body for up to two hours. If you are currently working with a professional, continue to do so. Who couldn’t benefit from someone else pushing you and tracking your information. Anything or anyone that promises to get a quick fix is just looking to get your money. There is no magic pill here. We can break exercise down into a number of different categories, however, resistance training and some sort of conditioning work are the most effective at achieving your goals. There are certain populations that need to be careful about what they do and how they do it, but the evidence is pretty clear that exercise seems to positively impact everything. Doing yard work and house work does not constitute exercise. Walking does not constitute exercise unless you were unable to walk prior to starting a walking program. Including upper body pushes and pulls, as well as lower body hip hinging and knee dominant work (squats) are a good starting point. In conclusion, start to implement these simple tasks into your daily routine and you’ll find that your goals will start to come to fruition. Seeking out a qualified individual who has experience in not just the exercise aspect of well-being, but in the entire performance envelope will be greatly beneficial. This way you can have all of this information monitored. Looking for an exercise physiologist or exercise scientist degree and an appropriate certification is usually a good place to start. Why Do You Lift That Much? So, this past weekend we made a trip to the wonderful vacation destination of Syracuse, NY for my sister’s graduation party extravaganza. My sister, much like my father is a runner. If any of you follow me on social media, you’ll know how I feel about the whole running cult. With that said, I should say that I do actually like to do sprints following a workout as nothing will make you feel like you’ve accomplished something more. Not run for 9 miles because gross. So if you do see me outside running then you should probably run in the same direction really quickly as I’m probably being chased by Sharknado, a lion, or Dunkin’ Donuts advocates. I was lifting a large cooler out of the car by myself when my father told me to stop because I may hurt myself. Checking my ego I said, “nah it’s not that heavy, I pull over 400 pounds off the floor”. When in my habitat, that statement is usually met with some grunts followed by how much others pull. To people who don’t lift heavy weights often that is a meaningless piece of information. So he asked, why? I’m generally pretty quick to fire back at my dad, the only person on the planet who has mastered the ability to find every single one of my buttons of irritation–and press them over and over again for the pure amusement. This time I still fired back because I like a challenge. But I stewed over this for a couple of days. Part of me wanted to say, why do you run? That’s a silly thing to do. You can certainly develop your cardiovascular system in many other ways. Nothing in your life requires you to be good at running. But, this is more a look at why I like to lift things (don’t make that cliche statement from that stupid commercial about lifting things please!). A couple of years ago I set a goal to bench over 315, squat and deadlift over 405, clean 275. None of this is necessary in my day-to-day requirements, however, when demonstrating to my athletes it was important that I could lift a semi respectable amount of weight. Otherwise they would think that I’m a phony (their words not mine). Plus, doing the same thing over and over again expecting different results was some smart guy’s (Einstein) definition of insanity. And I know with my education in physiology that I need to continue to push the status quo in order to achieve adaptation. School threw my aggressive training routine into the toilet. Basically, life happens. Now I’m finally hitting those goals and striving for different ones. So now I understand why my parents always told me to think before I spoke. Not only does lifting my goal coddle the ego a little, make sure that the high schoolers don’t chirp, but mostly I lift it because I like to. The feeling of accomplishing your goals is awesome albeit short lived. Runner’s want to run for 4 days straight–go ahead. If you’re goal was to do that and live, then awesome. If I want to lift a 20 pound cooler out of the trunk of the car without hurting myself, then don’t bend and twist.